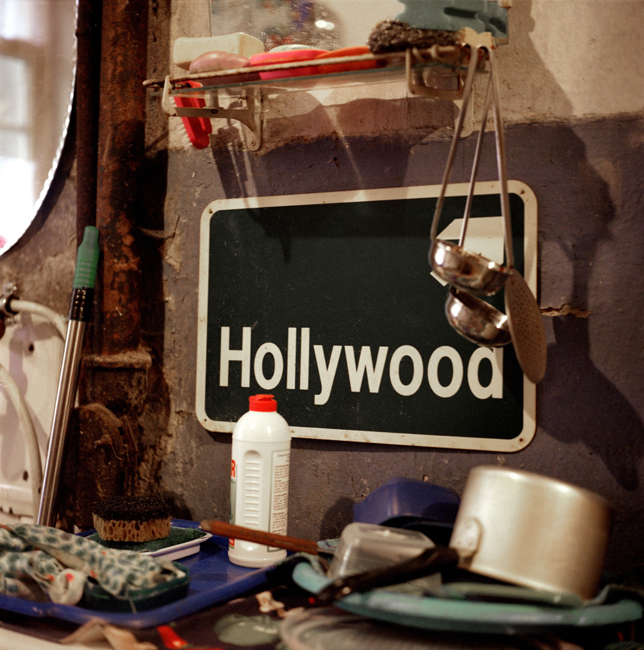 Marina, a nurse and a divorced mother of one son, poses for a picture in the corridor of her communal apartment. She says her everyday reality at home includes struggling with neighbors over utility bills and other conflicts. For example, one neighbor is an alcoholic who permanently hosts parties for his drunk friends. Marina says her modest income does not allow her the opportunity to leave this place. There is a basic common motif to the Kommunalka project, the story of a failed experiment that began with the dreams of the Bolsheviks in 1917; shared bathrooms, WCs and hallways were more than just a compromise necessitated by a lack of space. Old houses are like old people, and sometimes their eyes – the windows – turn weak with age or go blind. But they absorb the stories of their inhabitants and repeat them for a long time. St. Petersburg’s public housing is full of the traces of eventful lives. We will show some of them. There is a basic common motif to the Kommunalka project, the story of a failed experiment that began with the dreams of the Bolsheviks in 1917, when the brand-new revolution not only wanted to create new housing for workers, but new workers as well. Shared showers, toilets, and hallways were more than just a compromise necessitated by a lack of space. Marina (left), a realtor, eating her breakfast with her daughter, Arina. Marina and two of her three children share a 30 square-meter room where they moved about a month before this picture was taken after she divorced her husband. 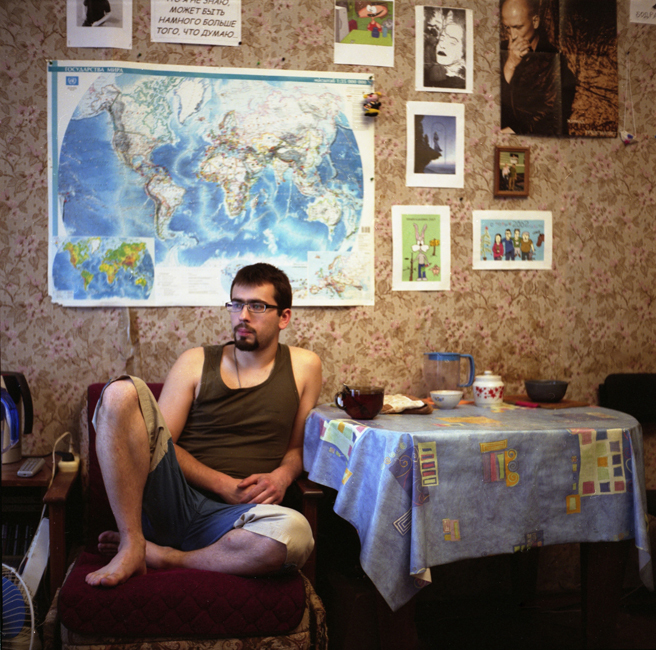 Most Russians like to eat in their kitchens, but those who live in communal housing cannot, so they have to eat in their rooms. 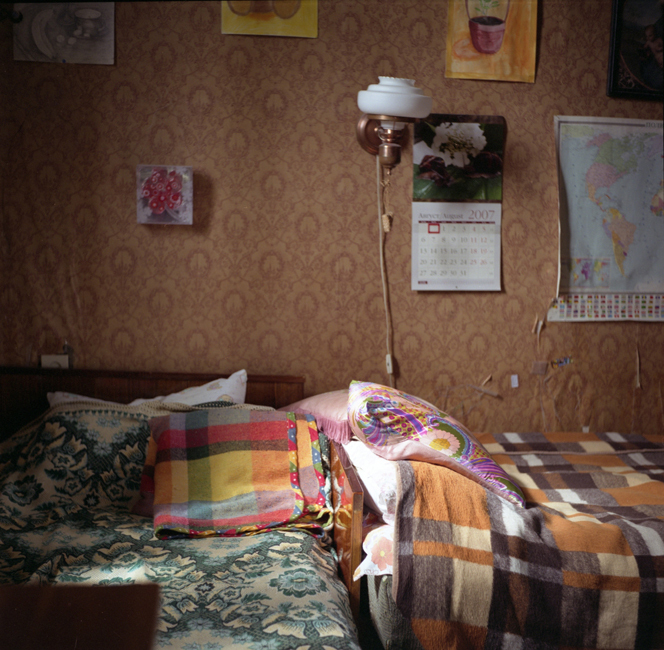 A room in a communal apartment. Cramped space is one of the main pains for people living in communal housing. 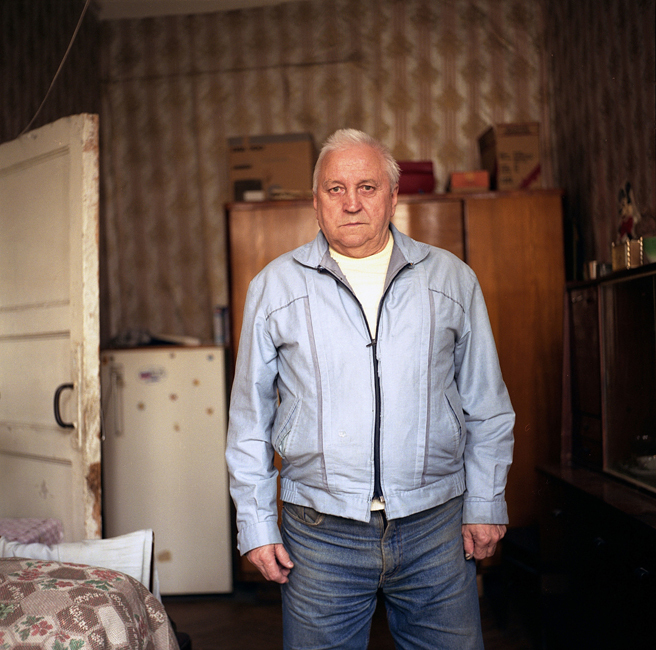 Alexander Mikhailovitch, 77, a retired defense industry worker, was born in this building and has been living in this room since the late 1940s. His wife died a few years ago and his adult son lives separately. Alexander Mikhailovitch says real estate agents offered him personal flats in the attempt to sell these big communal apartments, but he turned everything down because he feared that he would not be able to adapt to a new lifestyle after spending his entire life in communal housing. 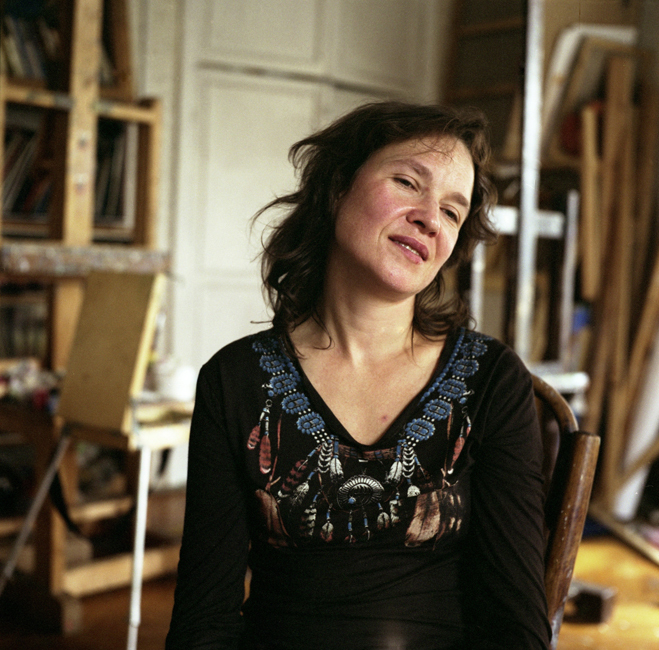 Anastasia, a painter and poet, owns a room in a communal apartment and uses it as a studio. She doesn’t live here and that’s probably why she likes her kommunalka a lot. 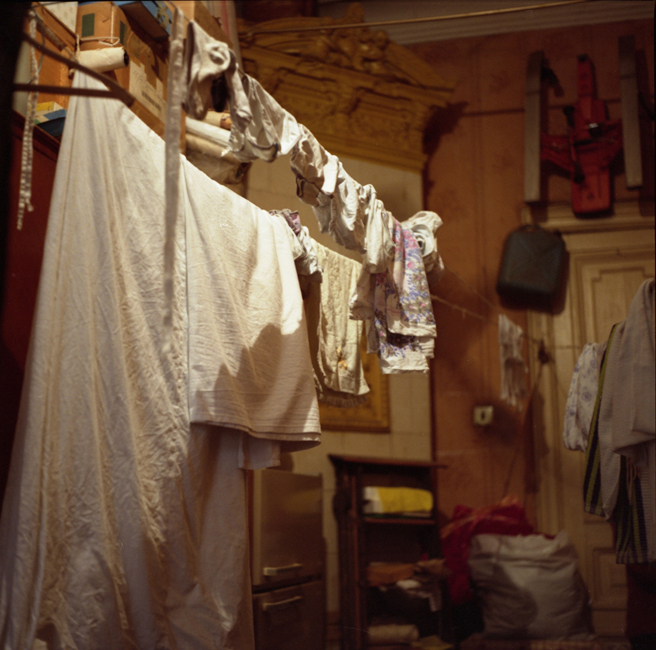 Drying laundry in a communal apartment. 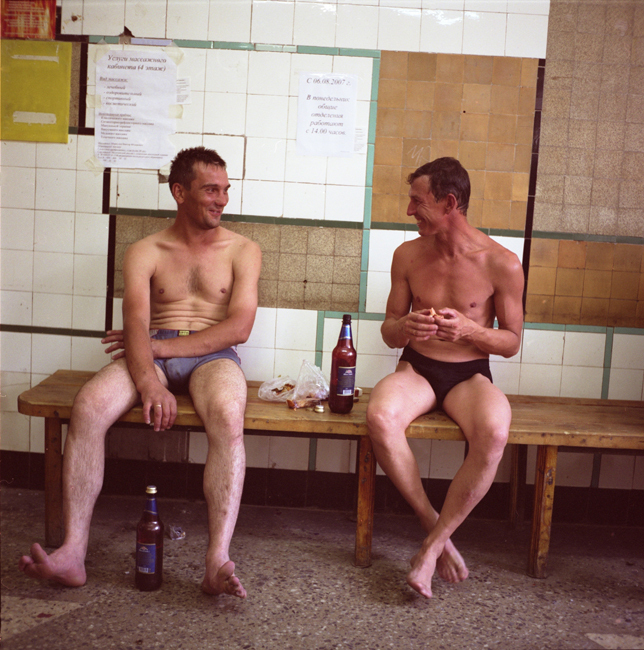 Men relaxing after having a bath in a public bath. There is still no hot water in many communal apartments, so people have to go to public baths to wash.
Olga, an interpreter, rents a room in a communal apartment. The relatively cheap rent (about 170 euros per month) makes communal rooms an affordable alternative to individual flats, although you must be prepared to share the bathroom with strangers. The interior of a communal apartment. 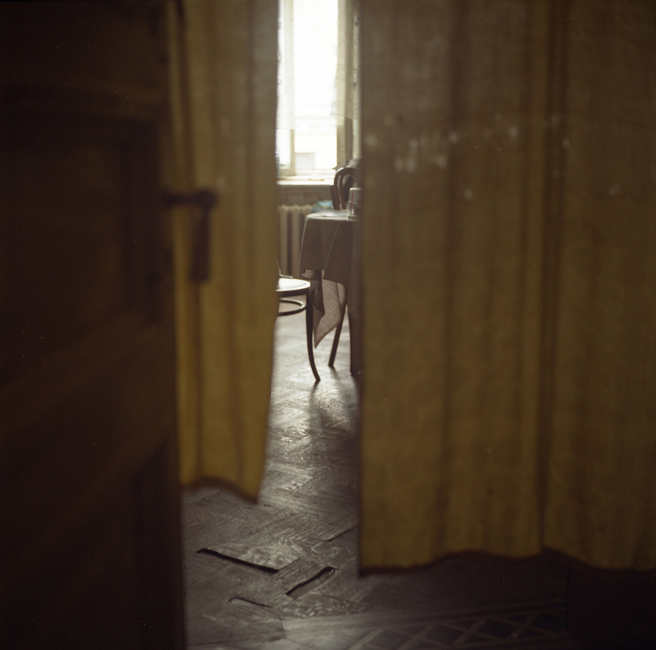 Most communal apartments were created in pre-Soviet residential buildings, many of which have never been renovated since being built in the late 19th-early 20th centuries. Karina, an architecture student, has tea in a neighbor’s kitchen. 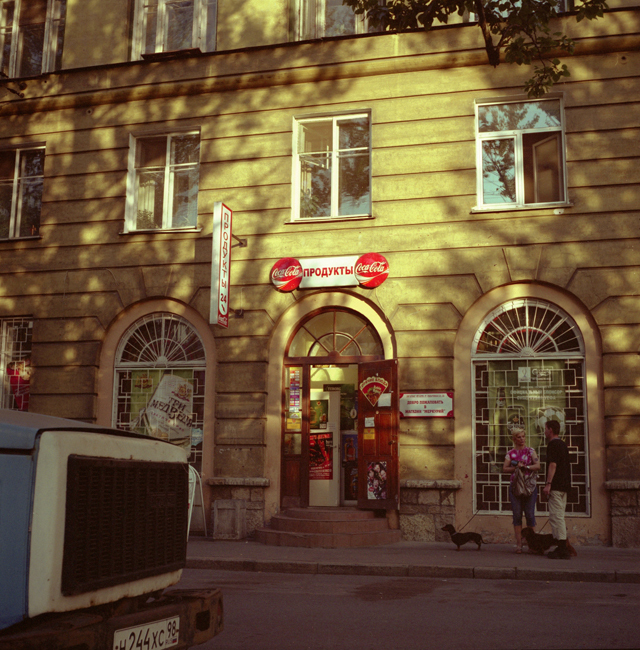 She was born in and has always lived in this communal apartment in central St. Petersburg. She likes the sense of community here and would not want to move out. 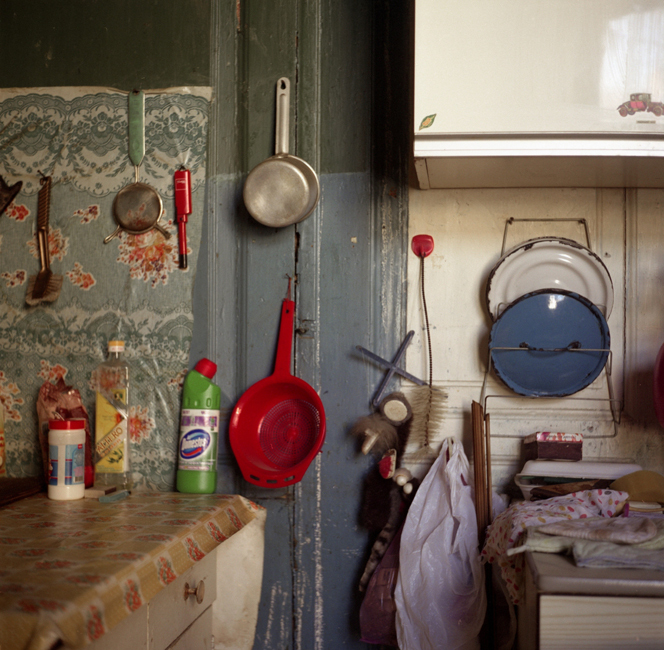 The interior of a kitchen in a communal apartment. Every family usually has a cooking table, a cupboard, etc., of their own. Kitchens corridors, toilets, and bathrooms in communal housing are referred to as ‘public use space’ and are not always well maintained.